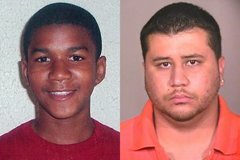 [AP/Yahoo] Finally an expert with gunshot wounds testified that forensic evidence is consistent with Zimmerman’s account of what happened on a rainy night when Martin was shot to death. …said that the trajectory of the bullet and gun powder on Martin’s body support Zimmerman’s version that Martin was on top of him …The pathologist also said it was likely Martin was conscious for 10 to 15 seconds after the shooting as a reserve supply of oxygen ran out of his body and during that time it was possible for him to have moved his arms. Zimmerman’s account that he had placed Martin’s arms out to his sides after the shooting contradicts a photo taken after the shooting that shows Martin’s arms under his body … Di Maio also explained that if clothes taken into evidence are wet and packaged in plastic bags, and not paper bags, it can ruin the samples … Defense attorneys believe DNA evidence found on Martin’s hooded sweatshirt and undershirt was degraded since the clothing wasn’t packaged properly. The trial of George Zimmerman is not going according to the racial lynch mob and the prosecution. Mr. Zimmerman’s testimony remains consistent, as Fox News story unfolds that includes a video of Zimmerman and his recorded testimony. It could have been a clear-cut self-defense, and even the arresting law enforcement officer wanted to only charge him with manslaughter, but the prosecutor would have nothing but murder based on a “race hate” incident. Remember, the mainstream media instantly put the story into an incident where a “white” person was stalking a “black” person and killed him in cold blood. Suddenly the story changed when Zimmerman was found to be Hispanic [his father was Caucasian, mother Hispanic]. 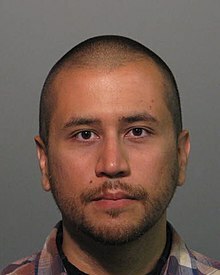 Despite Zimmerman having the right to defend himself, not just by Second Amendment law, but by the laws of Florida – the racial lynch mob organizations and media will have none of it. All because they are anti-firearm zealots. It is the same media reporting that painted Paula Deen a racist, and falsely stating she had used the “N” word during an interview or in cyberspace the rumor floated around she said the “N” word on Food Network TV. The racial lynch mob is out to find racism even if it is not there, and only on one side of the racial divide. For example, Trayvon Martin calling Zimmerman a “Cracker”.